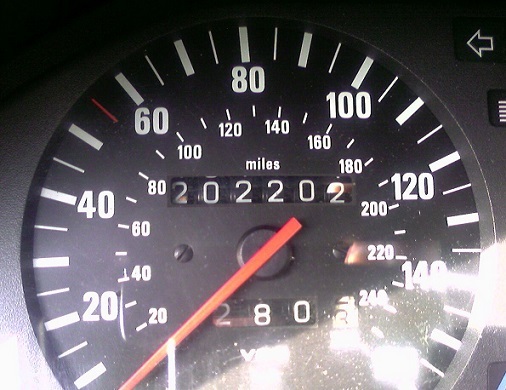 1) Buy Reliable – If you’re buying a car, or car brand, that is notoriously unreliable, it might be difficult to reach your goal of 200k or more miles. Some cars are just poorly designed, which makes for frequent repairs, and will derail you from your journey to high mileage right when you drive it off the lot. Here is a list of the most reliable car brands, and another of the least reliable car brands to get you started. 2) Follow the Vehicle Maintenance Schedule – Most vehicle owners either don’t know, or don’t care to find out exactly how their car is supposed to be taken care of. The ones who make their cars last longer than their marriages, however, follow their vehicle manufacturer maintenance schedule which can be found either in the vehicle owner’s manual or by doing a simple online search. This is an absolute must for anyone aiming to brag about how many miles their car has. 3) Don’t Ignore Your Car – Another failure of many vehicle owners is their neglect for the signs their car is showing that something may be wrong. If anything sounds, looks, or feels out of the ordinary when you’re driving, it’s imperative that you get it looked at by a professional immediately, not only for good of the vehicle, but for your own safety as well. Turn the radio down occasionally to listen to how the car sounds, keep en eye on the exterior and interior of the car to note any irregularities, and be mindful of how the car feels while driving, and investigate any changes, no matter how slight. 4) Find a Mechanic You Can Trust – Mechanic Advisor’s core mission is to connect people with a local mechanic that they can trust. Developing a relationship with a competent, reputable, and honest mechanic is key for vehicle longevity. No matter how dependable a car may be, normal wear and tear requires replacement work, and maintenance is crucial in long-serving cars. Ask for referrals from friends, check reviews online (Yelp, Angie’s List, Mechanic Advisor), and take time to ask your potential mechanic questions until you feel comfortable working with them. 5) Take Pride In Your Car – Lastly, without pride in your car, there is absolutely no way you’ll make it to 200k miles and up. People whose cars last nearly forever always take great pride in ownership of their car, whether it’s a Bentley or a Honda Civic. Prideful owners keep their car clean, free of major defects, and immaculately well maintained. If the car has any noticeable issues, they can’t get a good night’s sleep until it’s been resolved. They follow the maintenance schedule to a “t” and drive the car like they will own it forever. Most of all, they take pride in being able to brag to people about how their car has over 200,000 miles on it.